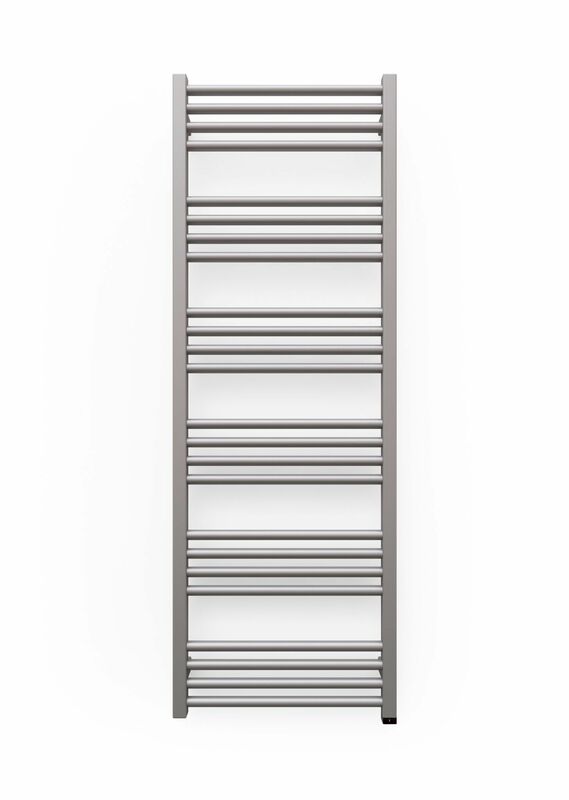 The Fiona Electric Towel Radiator is a stylish addition to any bath room with the distance between the sections makes it easy to hang the textile to dry. 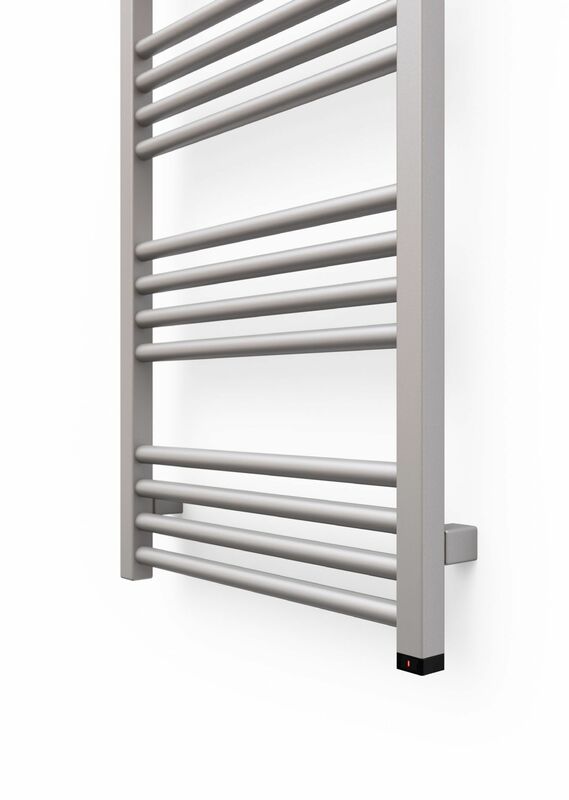 The Fiona Electric heater is a safe, reliable and economical device with power consumption in the standby mode of less than 0.5 W.
This Radiator is 480mm wide and in Sparkling Gravel Grey finish. Available in 4 different heights; 900mm, 1140mm, 1380mm and 1620mm. 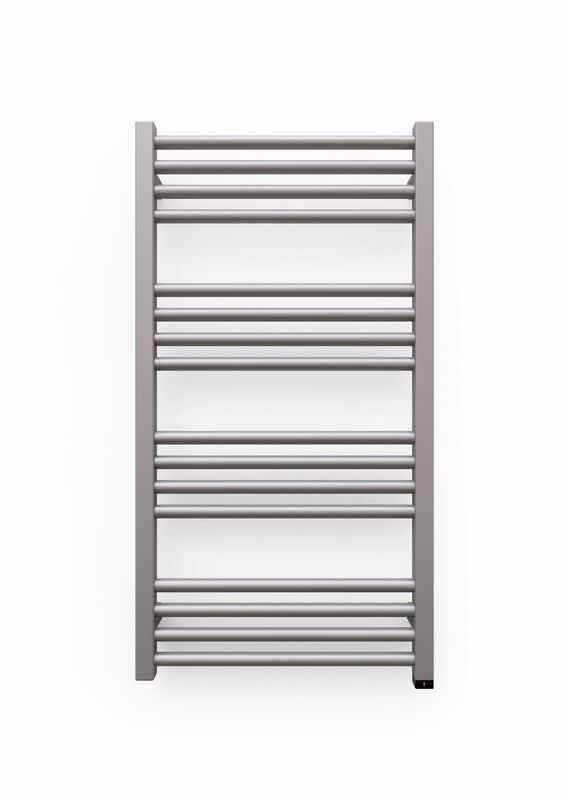 The Fiona Electric Towel Radiator is a stylish addition to any bath room with the distance between the sections makes it easy to hang the textile to dry. The Fiona One heating element hidden in the collector blends invisibly with its modern shape - without the need for an additional, external electric device. 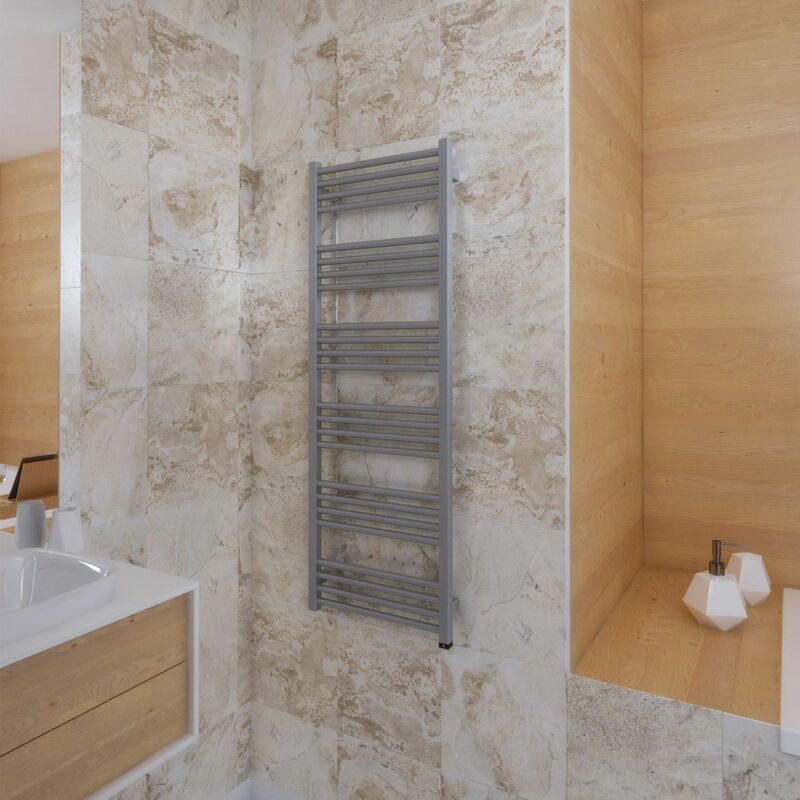 This radiator is equipped with ONE heating element and offers different heating options, such as setting the room heating or towel drying modes. The timer function automatically switches the heater off after two hours. 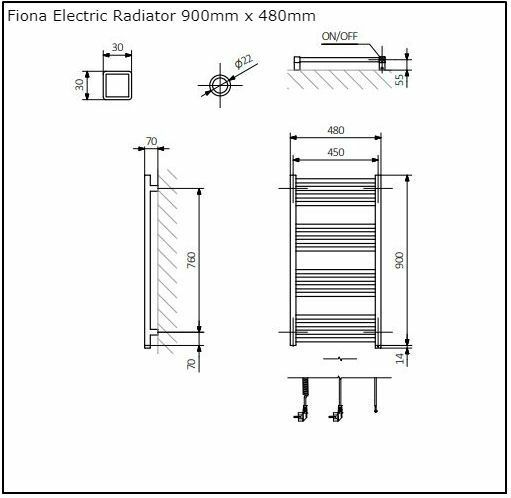 The Fiona One heater is a safe, reliable and economical device with power consumption in the standby mode of less than 0.5 W.
This Radiator is 480mm wide. 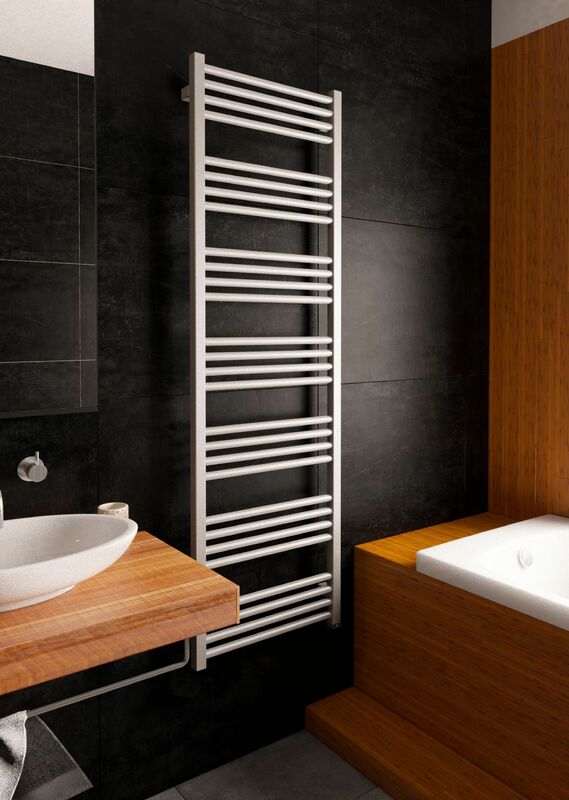 The Fiona Electric Towel Rail from Cast Iron Radiators Ltd is available in 4 different heights; 900mm, 1140mm, 1380mm and 1620mm.